Yeah – a bit late gettin’ goin’ here, but I am definitely up to the challenge of an under academy course. Yeah… Yeah… Did I mention I was up to the challenge? I’m Claire Donato, a writer and member of UnderAcademy’s fakulty who also teaches at Parsons (The New School for Design), The Pratt Institute, and The School of Visual Arts in New York City. With my partner Jeff T. Johnson, I collaborate on Special America, a site-specific performance that’s also a gesture toward embodied viral media and meme culture. I find memes somewhat intimidating because they follow formulas, and I’m terrible at math, though I admire and engage with constraints in my work. 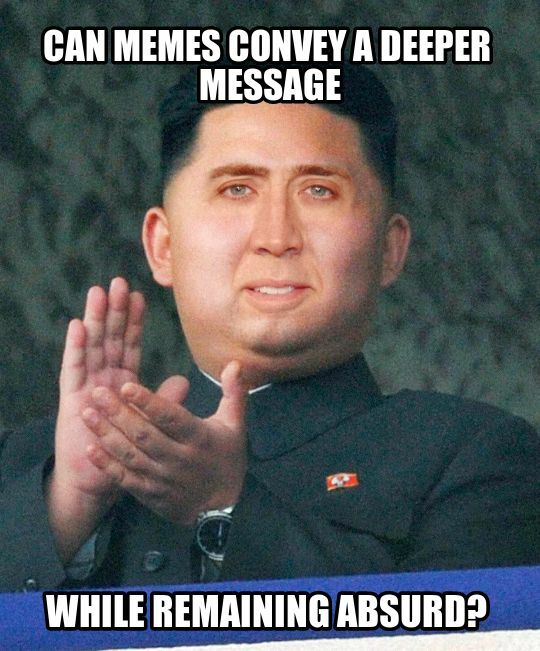 Memes are fast and clever. I just looked up the definition of “clever” and (re? )learned the word means “quick to understand, learn, and devise ideas or apply ideas; intelligent.” One desires to possess these characteristics. 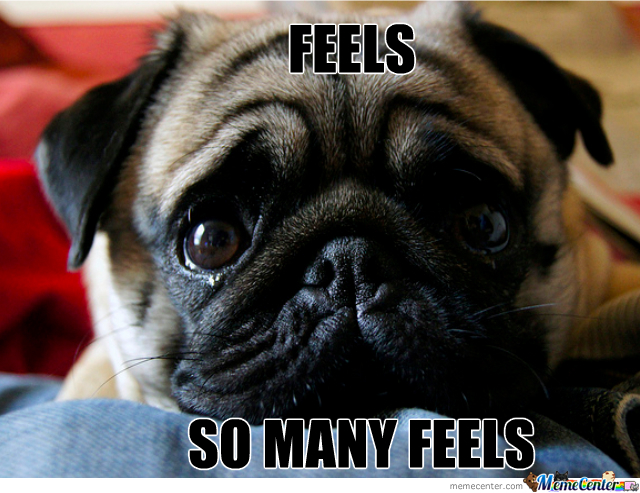 Some questions: What memes will a writer who writes from a space of desire create? Can memes engage the rhetoric of feminine desire, of écriture féminine? Memes are written, after all, in white ink. Or: Can a meme quiet the mind? Can memes make us wiser and more gentle? What if we sit zazen with a meme? Can it help us cope? 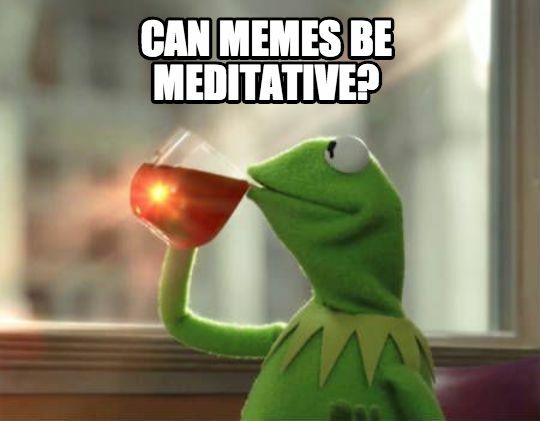 In sum, I look forward to considering the inscribed feminine and meditative properties of memes: how they focus our attention on the ways meaning is produced, what happens when they fall out of alignment, and how they do nothing (and encourage us to follow that lead). I have been thinking a lot about snark, cleverness, and quickness as “currency” in social media. There is a long tradition of linking a kind of reified urbanism with verbal dexterity, insults, and meanness. Whether or not it’s real, who knows!? I think, with it, comes a knowledge of distinction, the ability to form fast judgments and deploy fast identifications. At its best, it is a kind of playful, witty banter that keeps the conversation rolling. At it’s worst, it’s a way to sort people and prioritize attention, marginalizing the unimportant and giving attention to those that matter most. Ideal cases of this kind of fast-paced banter appear in a variety of popular contexts…. in comic contexts, specifically, in working class comedy, there is the poetics of the fool who can provide metanarrative in and around the rhythms of ordinary speech. Parallels are improvisations in music, physical comedy in vaudeville cinema, visual puns and manipulations in animation, etc. All of which derive their pleasure from the manipulations of structured time and space. What makes cleverness riveting is that it produces surprise. It takes you where your expectation and intuition did not promise to take you. On the other hand, these sorts of games with order are always eagerly appropriated, and become representations of one’s cosmopolitan disposition, mastery of style, and access to exclusive spaces. After social media, when fast-moving, global, self-replicating torrents of data (everything, words, pictures, sounds, processes, all dumped into the stream) presents itself as the chief medium for presentation of self, these oral and performed rhythms are signified differently (the “fast” life of the city transcended by high frequency transactions and high speed networks). Verbal wittiness, which rides context and tends to be subtle in interpersonal, singular contexts, has to become performative in the same way it gets used in popular film and television… but estranged from context, it has to carry its resonances with it. The pleasure of the surprise and craft still remains, but it is heavily moderated by its virtual scale, requiring the specific content be universalized in some way. In some cases, this means wit has to be affectively stylized and converted to snark (speaking as if one is clever). And in this role, success of snark is heavily dependent on its affect, rather than its content. Since its performance of wit is rooted in shared expectations (in the way that language is shared, but more thoroughly marked up due to the volume of the channel it is swimming in) with people who share the same subjective relation to the matter in question and against those who deviate from that disposition. It may be able to impart some knowledge, but the bulk of the information is arranged around its pathical (?… rather than logical or ethical) strength. Instead of interpersonal interaction, we have high volume, high speed sorting procedures that mirror the occult politics of big data, perhaps in the way sacrifices were used to keep the world turning. Ironically, I have produced volumes of words very quickly. However, this verbosity has nothing of the cleverness that we associate with quick speech. Rather, they are evidence of my mind’s slow, plodding work…. the scratches of a mind clumsily trying to organize its thoughts…. that translates into the slow speech that I generally use in my daily life. 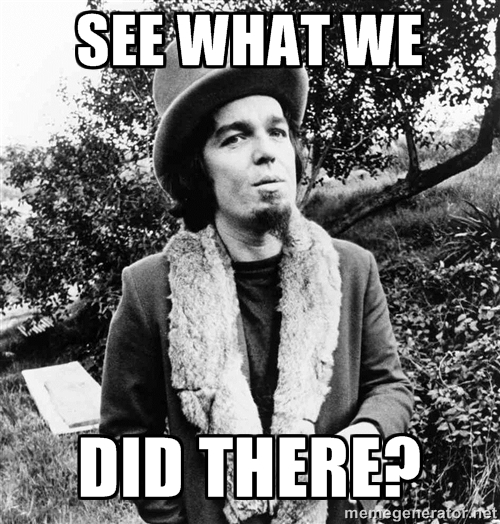 I guess, what I am trying to say is that snark gives us a window into the new cleverness. Really appreciate this. I can do glib, I can do snark, but my default setting is actually quite earnest and literal. I’ve had to tamp down those tendencies considerably to get any traction in my social media groups. Sometimes, I just decide it doesn’t matter. I’ll write what I’m thinking. If nothing happens (no likes, no shares, no comments), well, I didn’t connect. And I don’t always wish to. hi all! rolling into class late & hiding my self-consciousness behind a knowing smirk. 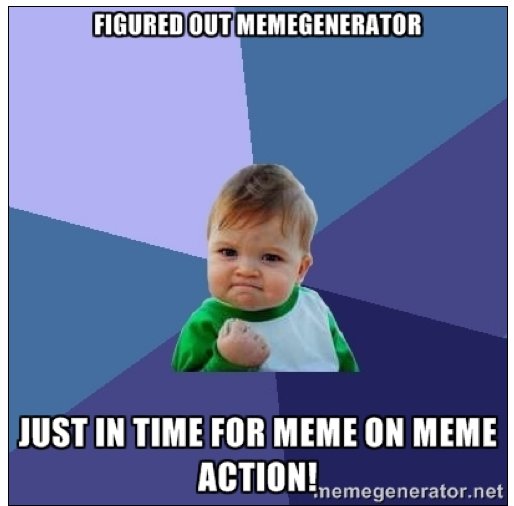 curious in general about meme behavior and culture, and loved talan’s meme talk at elo14. claire donato and i do special america, which incorporates meme-informed media tactics. perhaps this course will help us think some more about the possibilities for reflecting, amplifying, and manipulating attention and critical consciousness. i’ve fakked courses at uac since cycle 1, and am particularly interested in different modes and formats digressors use. here’s my homepage. i never know whether to sign blog posts. 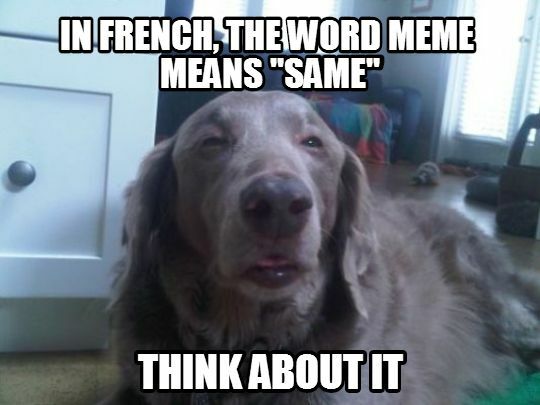 Is the study of memes sociology, & how is that sociology inflected by memes? there are lots & lots of other reasons. I’ll start here. 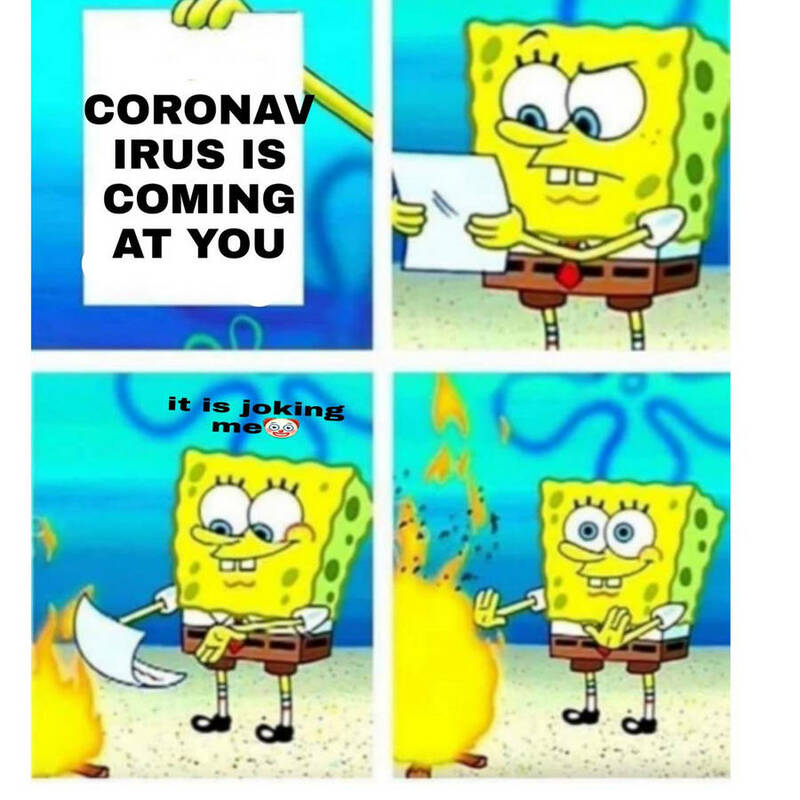 I love your meme! I find that for my students asking them to do “what x thinks” the 6 position perception meme in response to a reading helps them understand it and gets them to talk about it…. I’ll have to try that, great idea! I’m dabbling in social media research (as well as a little teaching about it) and one of the undercurrents of my interest in these spaces is what makes memes intelligible/unintelligible in specific contexts and among specific social groups – and by extension, how memes rely upon and reinscribe social norms. 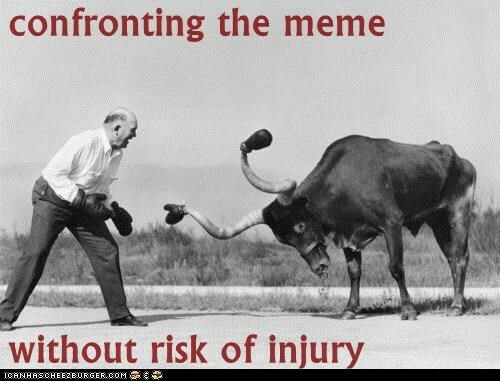 The more I work with memes, however, the more it becomes clear that the way people produce and engage with memes won’t fit into neat little analytic boxes – so I’m looking forward to having my assumptions unsettled and mind blown during this class. 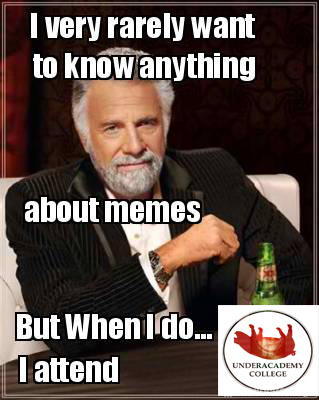 The ultimate knowledge is to know nothing.. except when it involves memes.. Assign 1: Constance X; Hapi Acquaint U! Hi Everyone, I am super stoked to have some meme-o-rific and meme-tastic fun. I am interested in theories of virality, and sharability and in contesting some of these. I am kicking off some research (soon!?) on community, identity, and digital media. 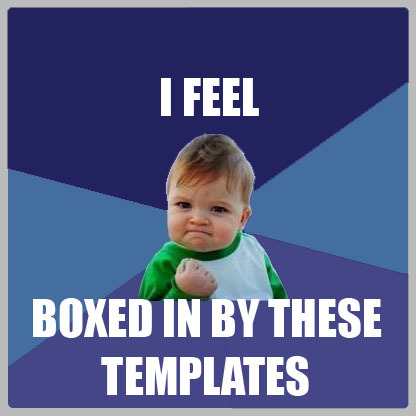 This is the first online class I have attended, and also the first time I have used a meme generator. I learned of this class through Jeremy Hight on Facebook. I enjoy neologisms, but I’m pretty selective about which ones I consider useful. I look forward to this class.